Note: Learn how to build this theme in the Bootstrap 4 WordPress theme tutorial series! 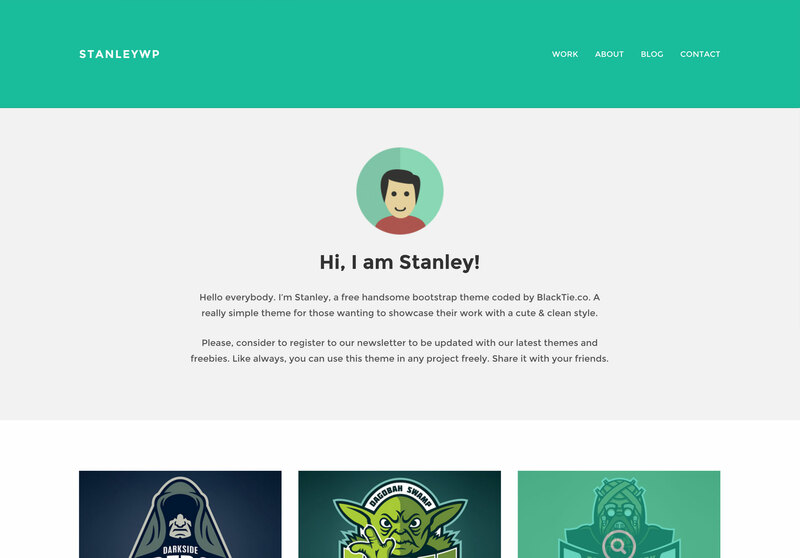 StanleyWP is a perfect WordPress theme for an individual looking to showcase their work. This simple theme displays a brief description about yourself and lists your latest portfolio items right on the homepage. StanleyWP also includes your default page and blog templates as you would expect with any WordPress theme. StanleyWP uses the responsive Bootstrap framework so your website will look good on all devices. This theme contains a portfolio template to display your work. Easily customize the theme with WordPress customizer settings. A custom page template to receive contact messages.